Men can be hard to buy for at the best of times, so Fathers Day is no exception. This year I thought it would be great to put together a little gift guide for you to hopefully get some ideas, which also include some exclusive voucher codes. Dayz creates a wonderful selection of handcrafted gifts in her amazing Etsy shop, Cheeky Geeky, which are mostly aimed at those with a Geeky side to them as the name suggests. From upcycled jewellery to homeware for cyclists, gamers, sci-fi lovers, skaters and those that are just conscious of the environment; you are sure to find your Dad the perfect gift. Among the jewellery selection, you will find these upcycled skateboard bearings, recreated into cufflinks and a pendant/ ball chain necklace. The cufflinks range from £20-22, whilst the pendant ranges from £10-14 and both come in a variety of colours, making the perfect unique gift for any man in your life. Packaged neatly in a gift box, you have no worry about figuring how to wrap them. For a limited time, you can get 10% off at Cheeky Geeky, with GIFT4DAD, valid until 28th June which coincidentally is Dayz's Fathers Birthday. Pictured above is one of her drinks coasters, handmade using scrabble pieces, to create a personalised and sturdy homeware accessory. Retailing for £6.00, this is a great little gift for anyone on a budget, yet wanting to get something a little unique. If your budget calls for it and they have a passion for photography, a new camera lens, could be a perfect choice. Wex, always have used lenses available to purchase at a much lower cost than retail and they always include a years warranty, so you have no need to worry there. Another great option, as camera equipment is usually out of most peoples budget, is to purchase a workshop event/ class for them to attend. Having attended one with my Step-Dad earlier this year, I can vouch how great they can be. There is only so much you can teach yourself and having a professional there to ask is such a relief. For something, a little different and hygienic there is the Hungsung Water Flosser, retailing for around £20, it's fairly reasonably priced for tooth care. Ditch the dental floss, and jet wash your teeth instead. Honestly, my teeth have never felt so clean, plus you have no risk of getting too close to your gums with this. The only thing I would probably note is to use slightly warmed water if you have sensitive teeth like me. Enter I4Q9YUJI at the checkout for an exclusive 20% off code, only valid through the Amazon link. The final gift you could give this Fathers day is an experience that you and many others could benefit from for a lifetime, a BBQ Course from Craft Food London. The Classic BBQ course gives your Dad an introduction to the three key factors of cooking the most epic BBQ. 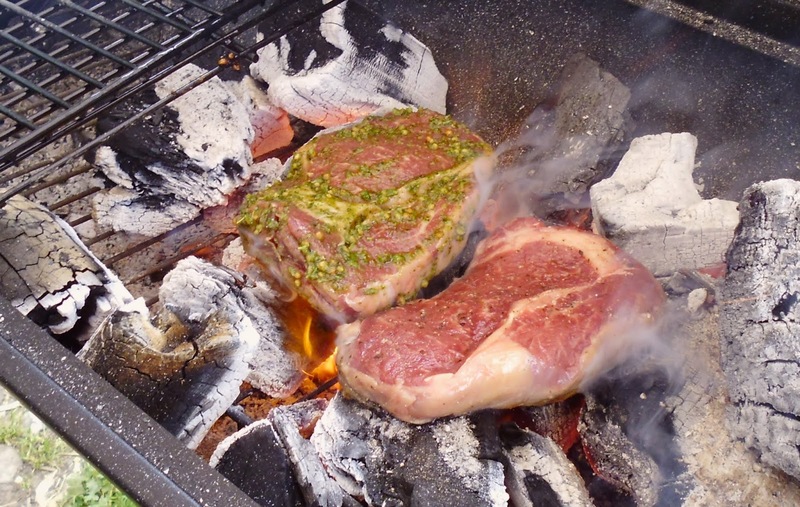 Smoking, direct grilling, and indirect grilling following that they will also be given a detailed discussion on the types of fuels/ woods to use and which ingredients to match them with. Guests are in for a treat as they learn from one of the UK's most knowledgeable BBQ experts, Dr. Sweetsmoke aka Al Harris. Who was seen on ITV's show 'How You Spend It' last week, alongside Philip Schofield. When I was talking to my Step-Dad about him attending a course in August/September he was actually getting quite excited about meeting Dr. Sweetsmoke. I initially thought he was just taking the mick out the name, but then realised he knew who he was and found out he's a big deal. Enjoy £30 off the Classic BBQ or Asado Course this Fathers Day, with code FATHERSDAY2018. With free parking and located just off the M25, what are you waiting for? * I received some of these products from Cheeky Geeky & Hangsun for free in exchange for my honest and unbiased feedback, all my views and opinions are my own and have not been influenced in any way. Please see my Disclaimer for more information.